mainboard – you don’t find many of these on modern computer boards nowadays! 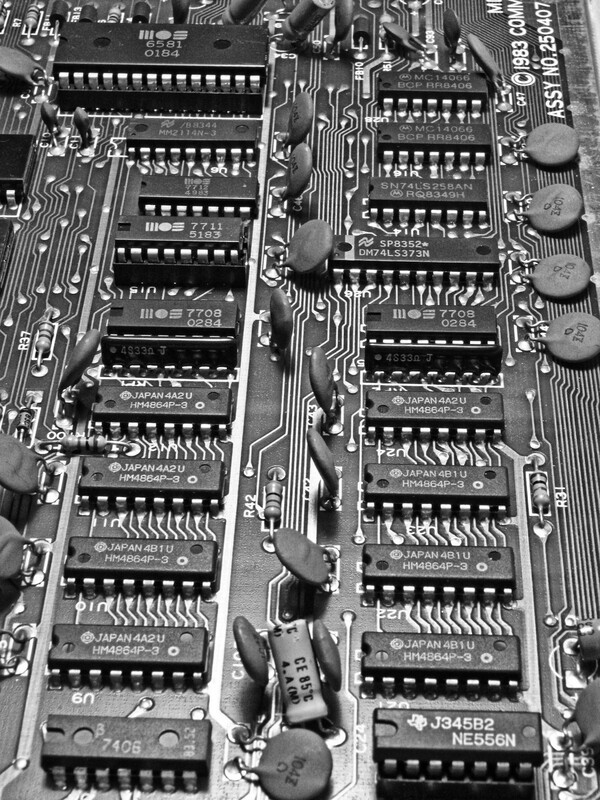 The brains of the C64 – the 6510 was the slightly modified version of the legendary 6502 CPU that had been introduced in 1975 and was not only used in the C64, but also in countless other 8-bit computers and game consoles like the Apple II, BBC Micro, Atari 400/800, Atari 2600 and the NES. 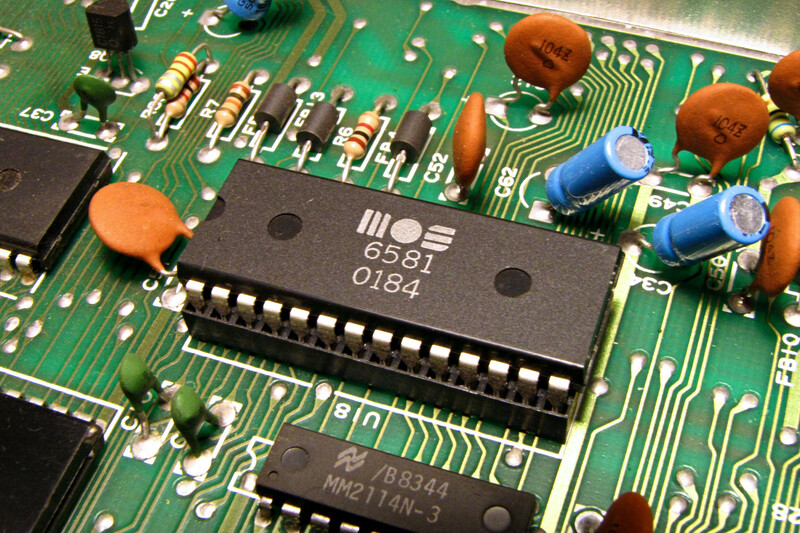 This chip needs a photo all by itself, because it’s the C64’s music machine – the SID, Sound Interface Device, here in its original 6581 incarnation manufactured in the first week of 1984. 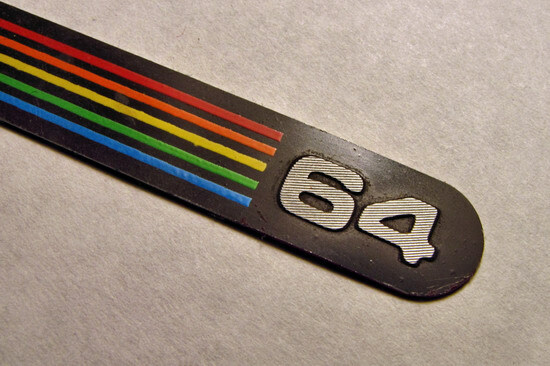 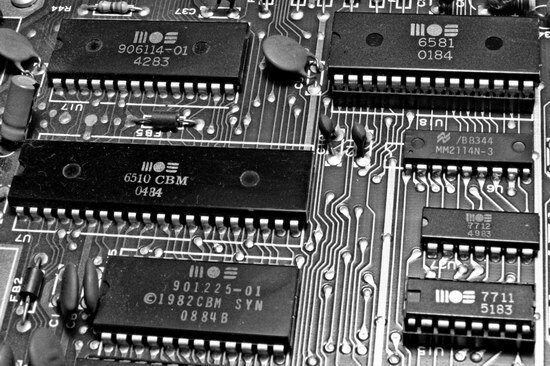 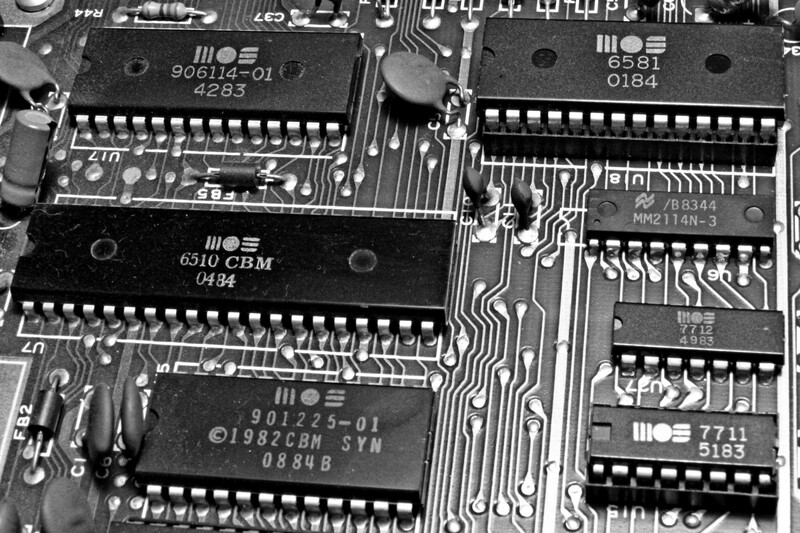 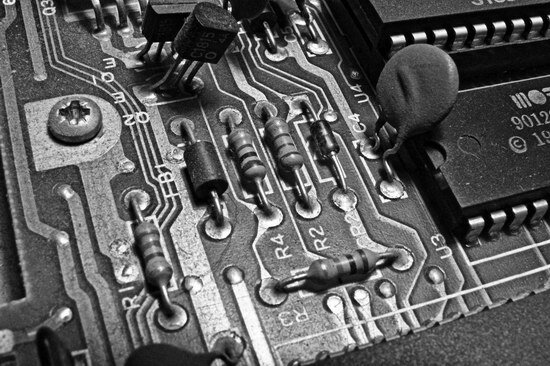 I posted a few C64 mainboard macros a while ago in colour, but I also processed them in black and white. 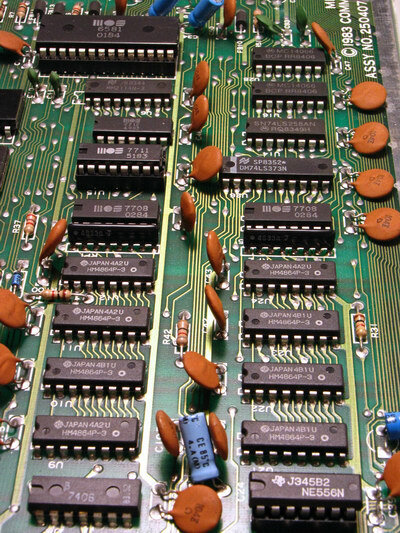 This group of chips has the two most iconic ones in them! Some other electric bits from the C64 main board. 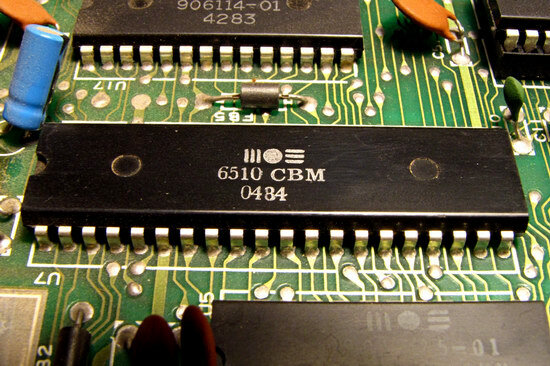 The sound factory of the C64 – with a legacy that lasts until today. 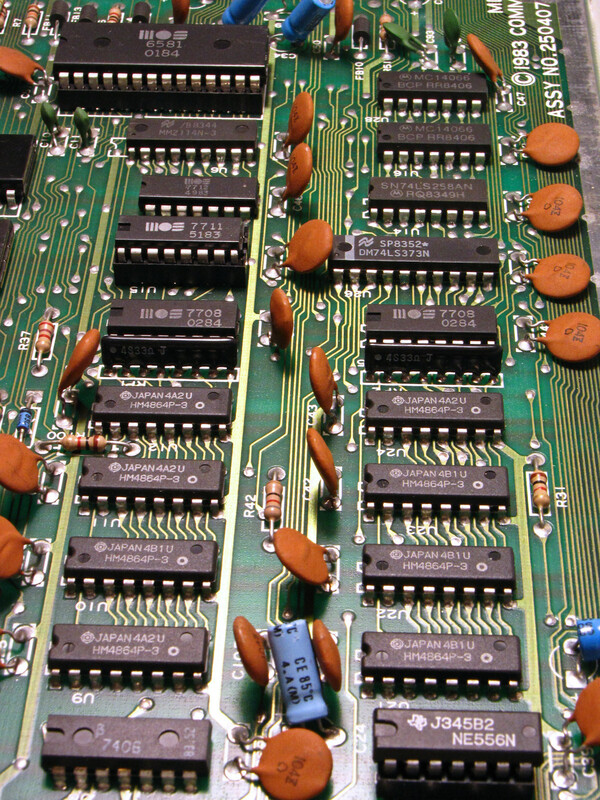 More ancient chips from the old Commodore 64 mainboard, most of these are RAM and ROM!